I know that January is almost over, so I should be thinking forward and not back, but since we were pretty much gone the first two weeks of January, I still feel like it is the beginning of January. So, in my mind it is still a perfect time to reflect on the past year and think forward to this year. All that being said, I thought I would share a few of my 'favorites' with you. I know I have already mentioned this book, but Safely Home, by Randy Alcorn, is life changing! Every believer should read this book! 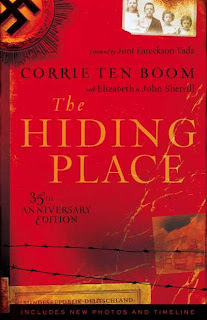 Another favorite read of 2011 is The Hiding Place, by Corrie ten Boom. 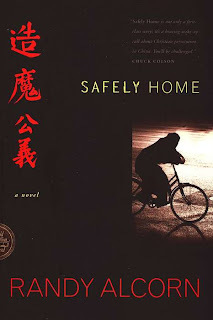 Great, Great book! 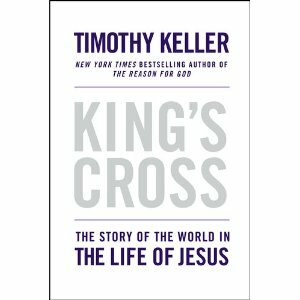 This fall we used Tim Keller's new book King's Cross. The book is based on his sermon series on the Book of Mark. "When the Bible talks about sin it is not just referring to the bad things we do. It's not just lying or lust or whatever the case may be -- it is ignoring God in the world he has made; it's rebelling against him by living without reference to him. It's saying, 'I will decide exactly how I live my life.' And Jesus says that is our main problem." "You are made to center everything in your life on me, to think of everything in terms of your relationship to me." I could go on and on about how these two quotes have changed the way that I think about how my relationship with Christ should impact EVERY single aspect of my life, even the little mundane, every day things, but I will just allow the quotes to sink in and let the Lord use them in your life how He will. And last but not least, The Pioneer Woman: Black Heels to Tractor Wheels. This book is hilarious! I am talking laugh out loud, hilarious! Even Murray laughed out loud when I would have him read a page or two.